We are very proud to announce that Chris Finill has donated an "Achiever of the Year" cup to be awareded each year. Chris said that this cup is to be presented not only for setting and achieving personal goals, but for those who offer support to other members or help run the club in some way. The cup is awarded at each end of year Christmas drinks party. Chris Finill has kindly supported this award and we are very priviledged to have his support. For those of you who haven't yet met Chris, he is a phenomenal runner. He has run competitively since the age of 12. He won the English Championships for running 100 kilometres (yes, 100K!) in 2003 and for 24 hour runs in 2008. He has represented Great Britain 8 times in these events. He is the only person to run all 31 London Marathons in under 3 hours which has been recognised by the Guinness Book of Records. 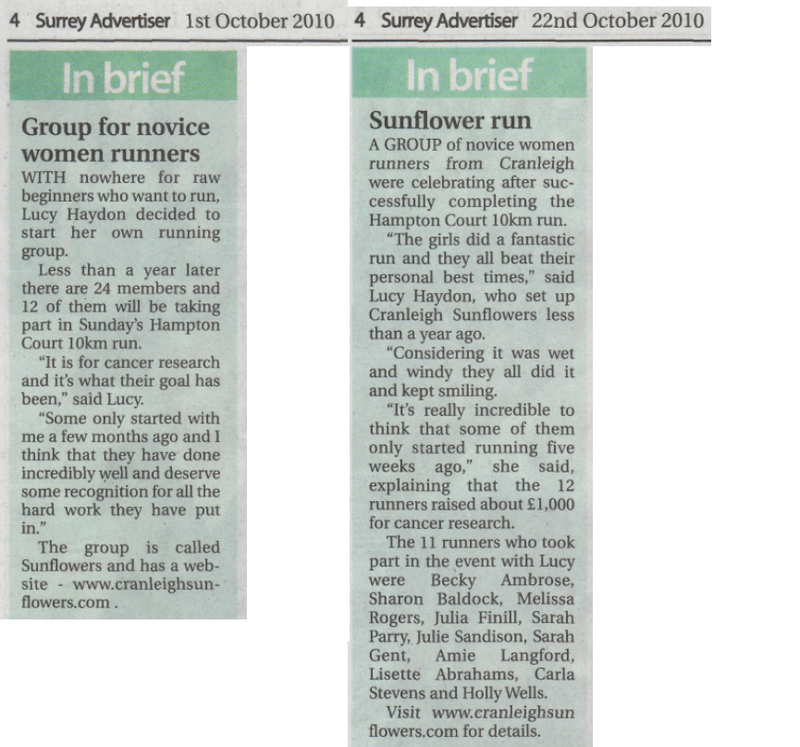 In August to November 2011 he ran, yes RAN across America in aid of Help the Heroes. That was 75 days averaging 40 miles a day! So we are very priviledged to have his support. Please see our Thank You! page for his website.